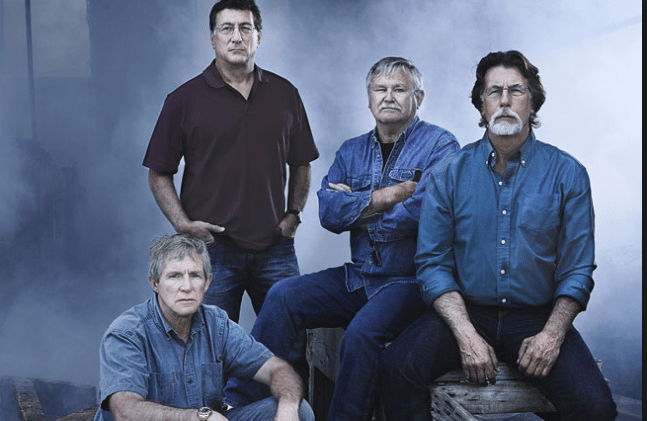 ‘The Curse Of Oak Island’ Season 5 Release Date, Updates and Secrets: Whose Treasure Is Hidden Below? Is It A Hoax? 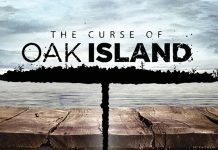 Update: The History Channel has officially confirmed the 5th installment of the popular show “The Curse of Oak Island.” The show is returning on November 7th. We will update the more details soon, stay tuned. 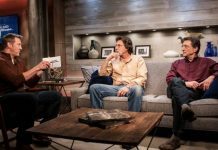 The Curse of Oak Island Season 5 speculations and rumors continue to haunt even though there is no update from History Channel or Lagina brothers. Despite trying everything possible, the brother duo has not been able to get their hands on the treasure that is hidden deep below. Will The Curse of Oak Island Season 5 release on the television or not is the question currently haunting the viewers. But the possibility of the series coming back for the fifth and final season is certainly there, because the last episode of the season 4 received the highest ratings. Will Lagina Brothers Get The Treasure? According to TVOM, each episode of the next season is going to be exciting as fans are now at their edge and just eager to know what exactly is the treasure. Certainly, everyone is anticipating that Lagina brothers will this time at least get over the setbacks and find something big. 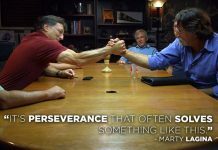 Despite so many failures, fans have not lost their faith in the team of the show and want The Curse of Oak Island Season 5 to come on the air soon. However, there is no guarantee that there is a real treasure hidden beneath the hole. Apart from this, six people have already died in this treasure hunt till season 4. Some recent spoilers suggest that the viewers may get to see more deaths in the upcoming season. What will happen if the Lagina Brothers fail to get the treasure in season 5? Is it a worth to watch one more empty season? Will they cease the production or continue digging with a ray of hope in mind? No one has the answer yet. Various excavation teams and companies have carried out digging efforts at the mysterious hole. According to Mother Nature Network, a stone slab was found 90 feet below during digging with writing. The code deciphered in 1860 indicated that two million pounds are buried 40 feet below. However, until now, different teams including Lagina brothers have drilled more than 190 feet and have not been able to find any treasure. Even there is no similarity in between the theories associated with the treasure. One theory says that the treasure is pirate booty whereas, one other theory suggests that it contains lost jewels of Mario Antoinette. 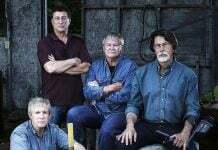 Will Lagina brothers find what exactly is the treasure in The Curse of Oak Island Season 5 or is the story of treasure just a hoax? On the other hand, there is a possibility that the History Channel will require a new sponsor to anchor The Curse of Oak Island season 5. However, nothing more is revealed about it. As we all know, History has not revealed any plans for the Season 5 yet, but more and more sources are now claiming that the The Curse of Oak Island Season 5 will start in November 2017.